The Japan Foreign Minister’s Commendations are awarded to individuals and groups with outstanding achievements in international fields, to acknowledge their contributions to the promotion of friendship between Japan and other countries and areas. 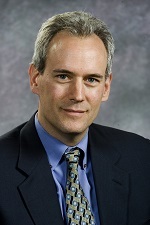 This year, we are pleased to announce that Professor Steven Vogel, the Il Han Professor in Asian Studies and Professor of Political Science, has been chosen as a recipient of this award. 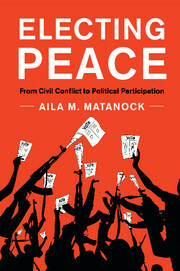 Professor Aila Matanock's book, “Electing Peace. From Civil Conflict to Political Participation”, wins The Charles H. Levine Memorial Book Prize for 2018. The Prize is awarded to a book that makes a contribution of considerable theoretical or practical significance in the field of public policy and administration, takes an explicitly comparative perspective, and is written in an accessible style. APSA’s Elections, Public Opinion, and Voting Behavior section, selected Cecilia Mo's paper, “When do the Advantaged See the Disadvantages of others? A Quasi-Experimental Study of National Service,” for this year’s Best Paper Award. The Best Paper Award is given each year to the authors of the best paper delivered at an EPOVB-sponsored panel at the previous year’s APSA Annual Meeting. Assistant Professor Aila Matanock has been selected as the 2018 recipient of the Carol D. Soc Distinguished Graduate Student Mentoring Award for Junior Faculty. Professor Matanock will be honored at a ceremony on April 12, 2018 at 4pm at Anna Head Alumnae Hall. Professor Robert Powell has been recognized for his outstanding and dedicated service to the campus. 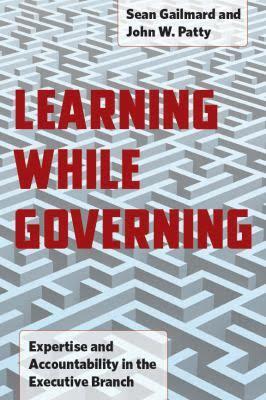 Professor Sean Gailmard's book, 'Learning While Governing: Expertise and Accountability in the Executive Branch', wins The Herbert A. Simon Book Prize for 2017. The Herbert A. Simon prize is awarded to the book with the most significant contribution to public administration scholarship published 5 to 10 years ago. The Charles and Louise Travers Department of Political Science sponsors several lecture series, seminars, and colloquia in conjunction with a few of the University’s research centers. We provide helpful resources to find schedules, links to papers, and information about the speakers.